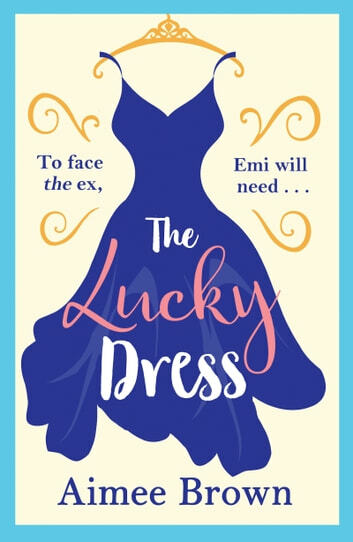 *I recieved The Lucky Dress in exchange for an honest review. All thoughts and opinions are my own! 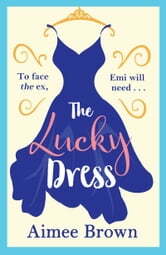 * The Lucky Dress is a fun and quick romance. My main complaint was that there was a bit too much drama for my taste. There was one last conflict around the 80 percent mark that I thought was unnecessary. Despite this, I thought Emi and Jacob's story was very entertaining. I loved how their storylines, past and present, were interwoven. There were some gender stereotypes as well that I was a bit frustrated at, so hopefully in Brown's future novels she doesn't excuse or rationalize behavior solely due to gender. 3.5 Stars! First I would like to thank Netgalley and the publisher for this arc in return for my honest review. This was not you typical chick lit, it had a lot more depth and better quality of characters. You have the protagonist and twin bother bother marring siblings as well, you have the straight shooting BFF and then of course the evil villain. It was all great, it the writing told the story. And I also liked the mother in law to be, she had hop-spa.